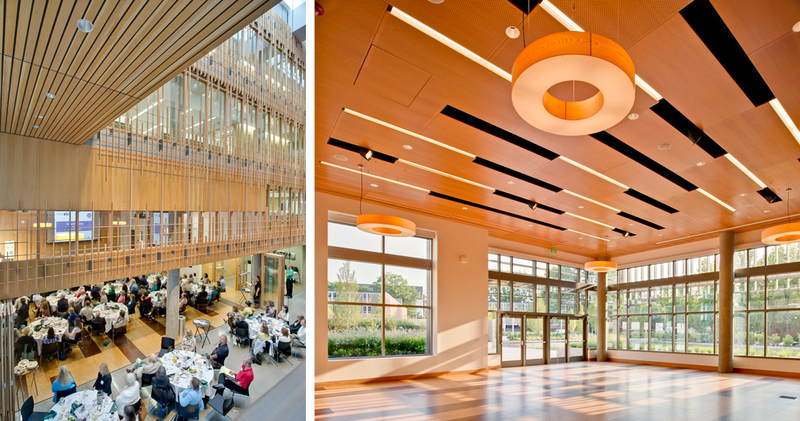 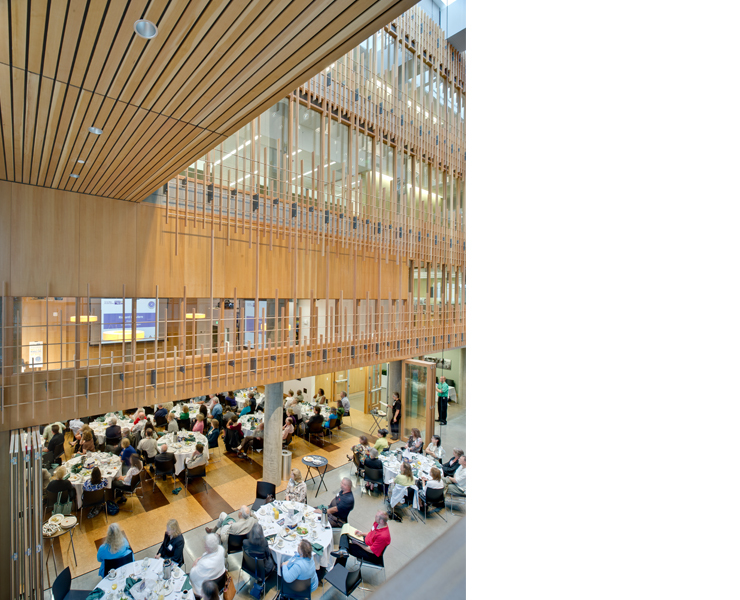 The 60,000 sf Ford Alumni Center is a model for 21st century higher education work environments and public spaces that connect communities. 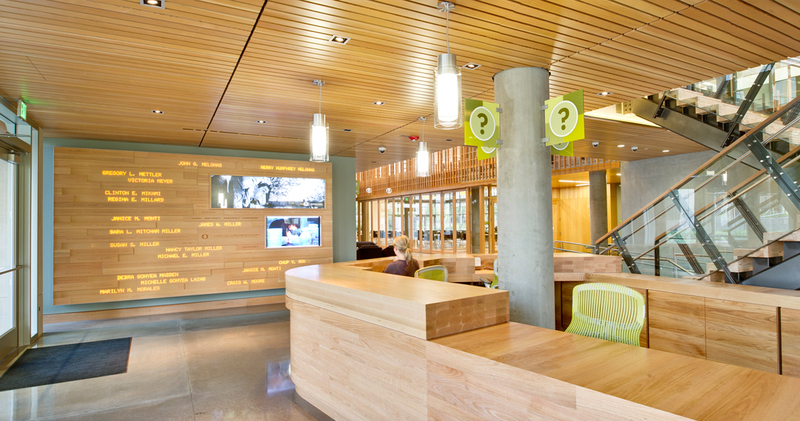 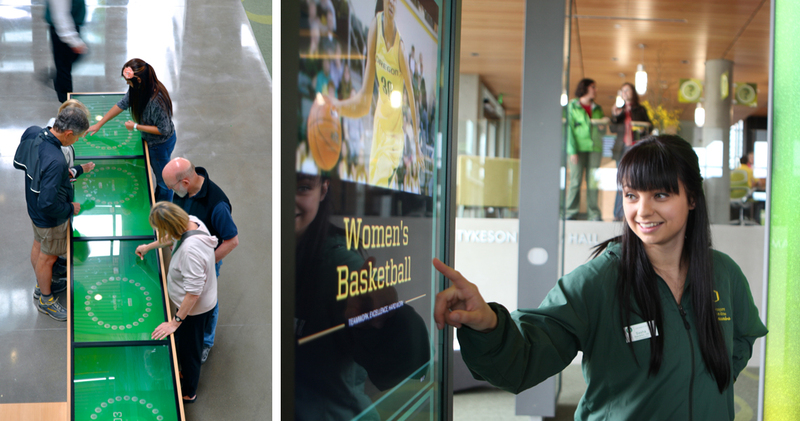 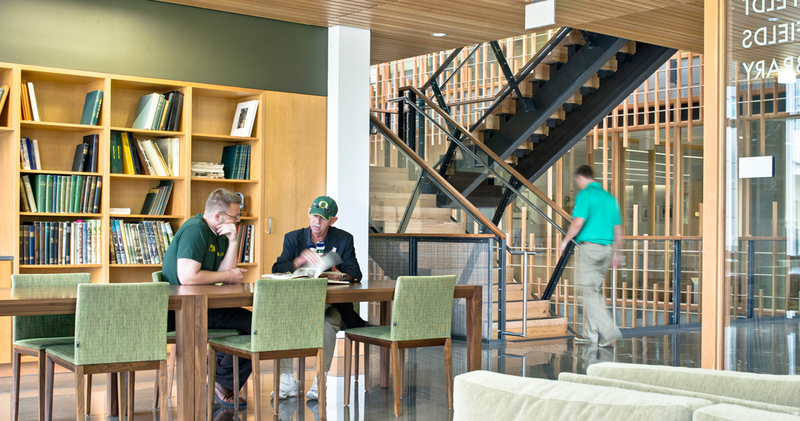 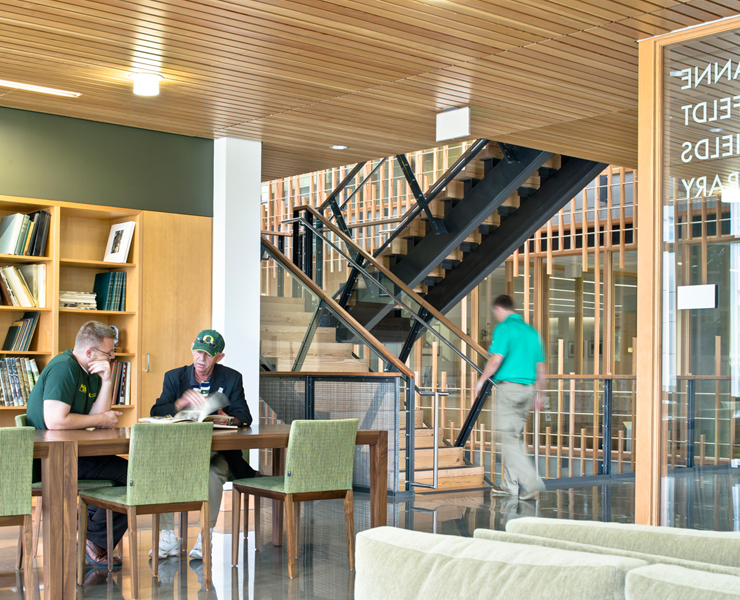 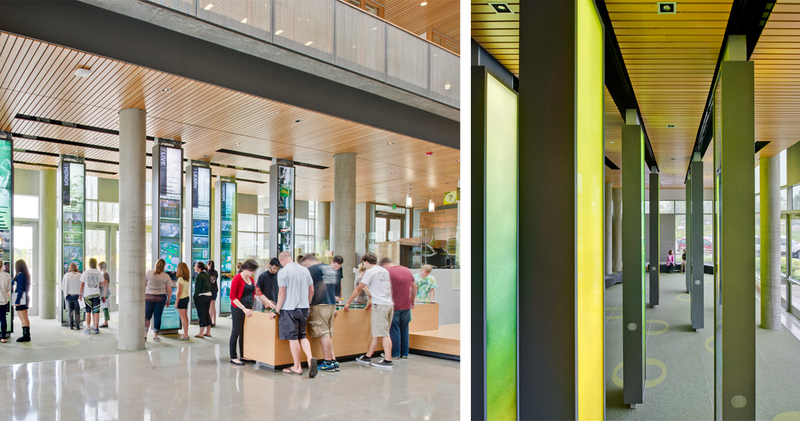 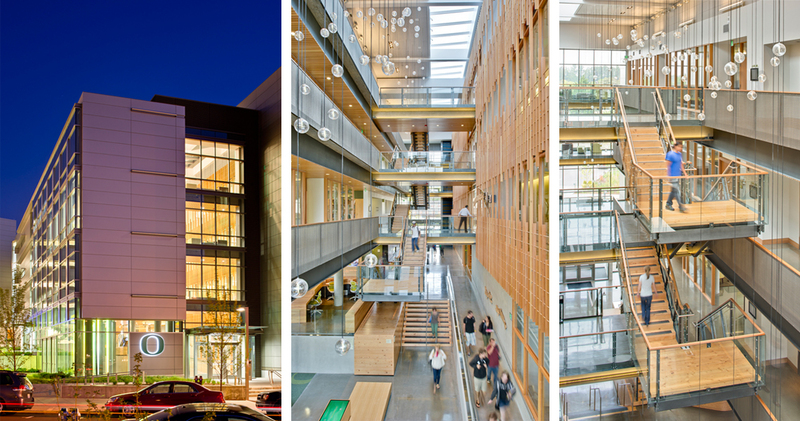 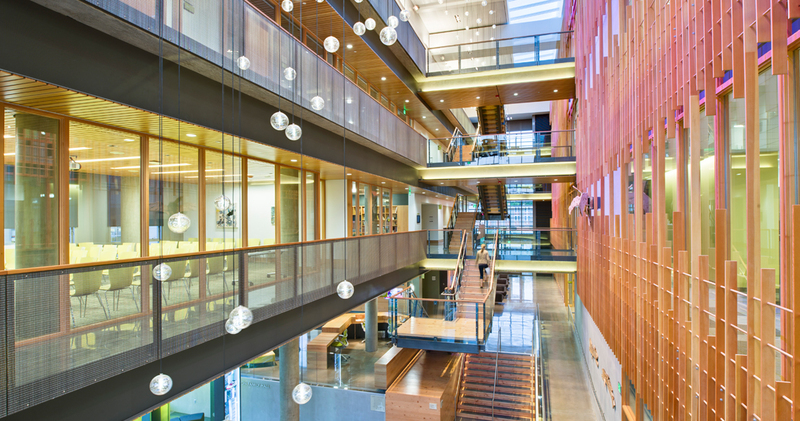 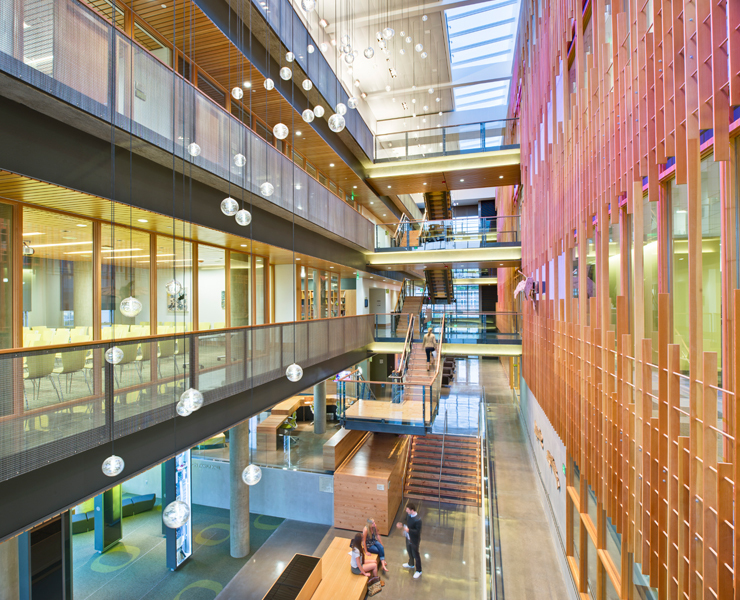 The building is the “front door” for the University of Oregon, housing an interactive campus visitors center, a 200-seat ballroom and offices for the University Office of Development, Alumni Association and University Foundation. 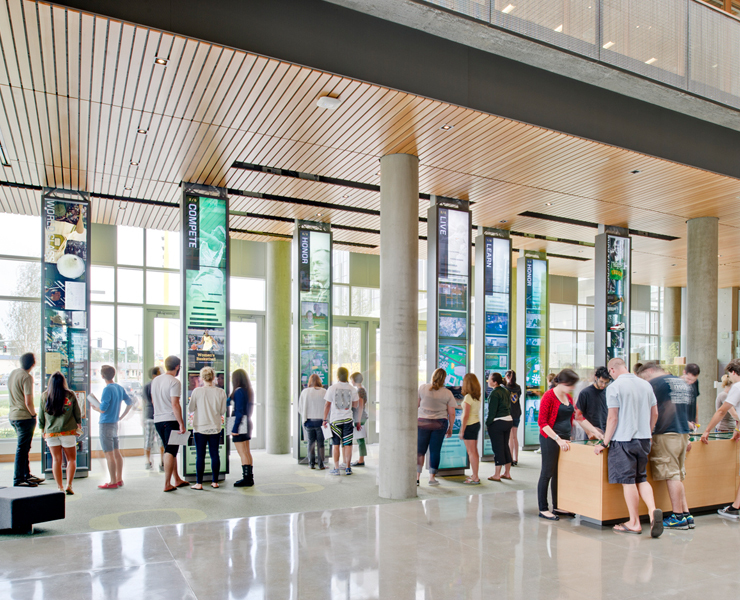 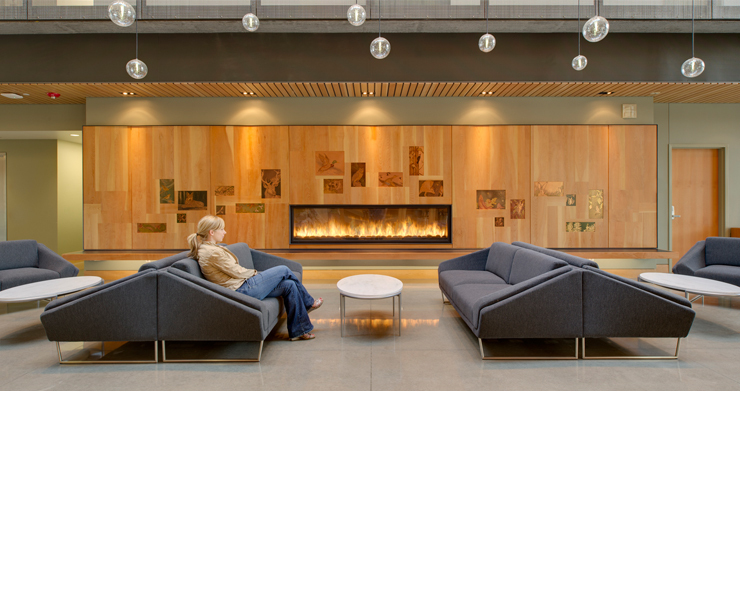 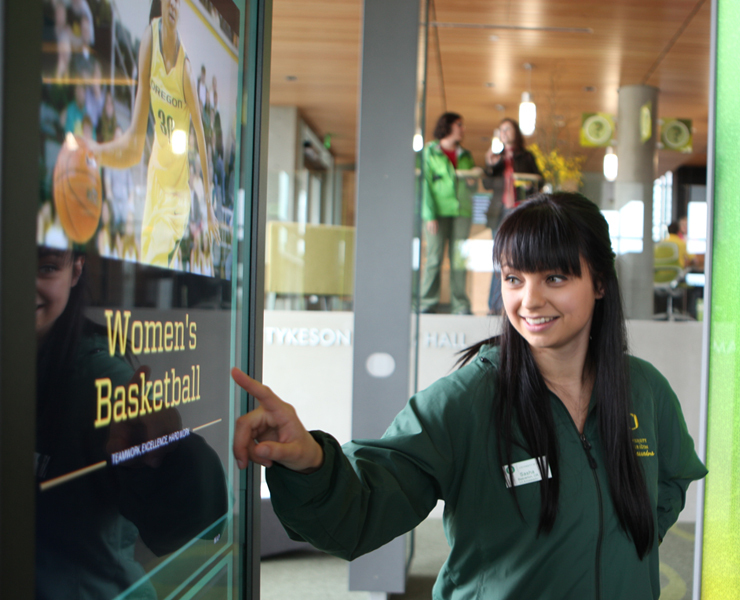 The ground floor, Oregon Story, an interactive, multi-media experience serves as a launching point for prospective students’ campus tours and invites building users to explore the legacy of the institution and its alumni through touch-activated tables and nine-foot-high sliding, “cascade panels.” A ten-foot fireplace in the lobby offers an inviting atmosphere, creating an casual space for studying and meeting. 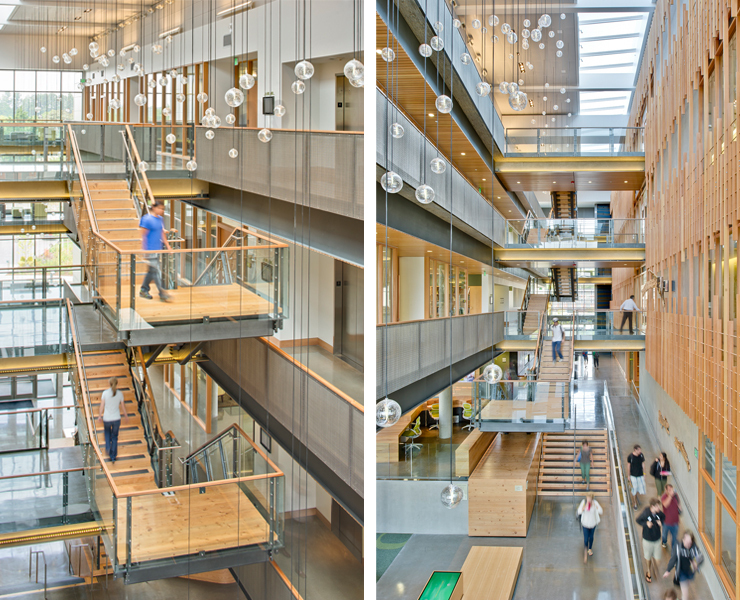 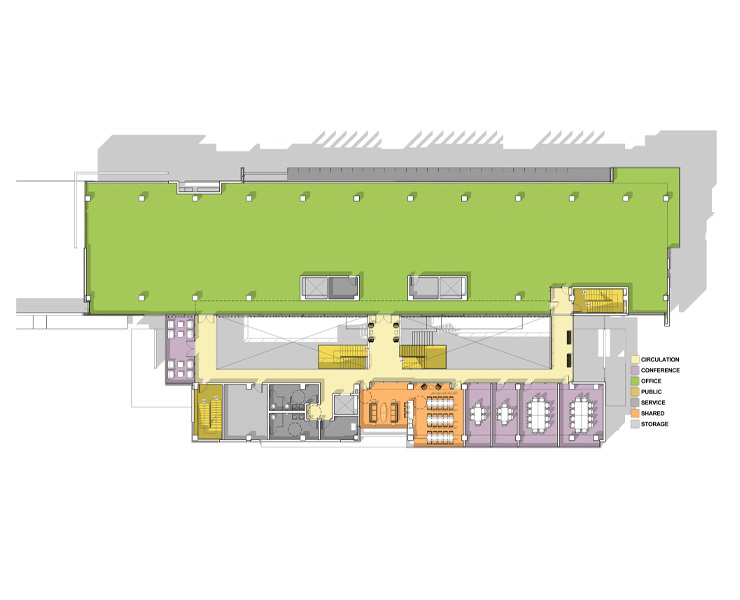 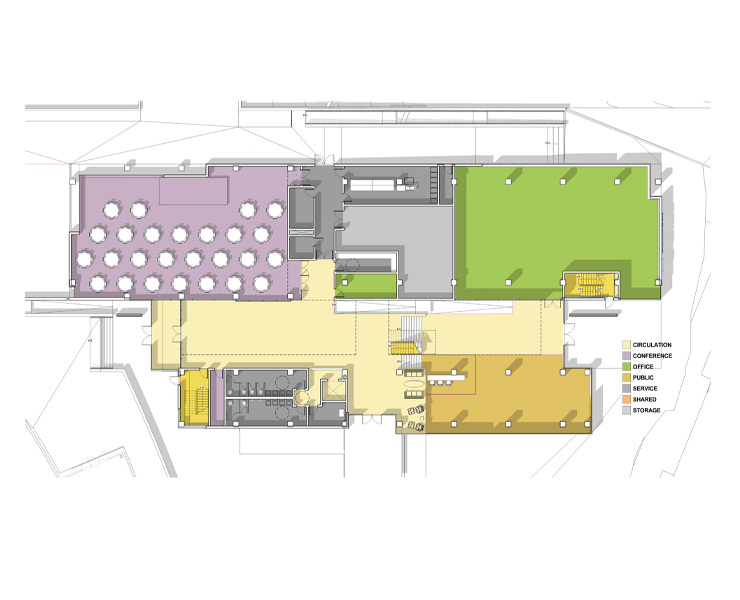 Each floor overlooks the light-filled atrium where views throughout the entire building connect users creating a strong sense of community. 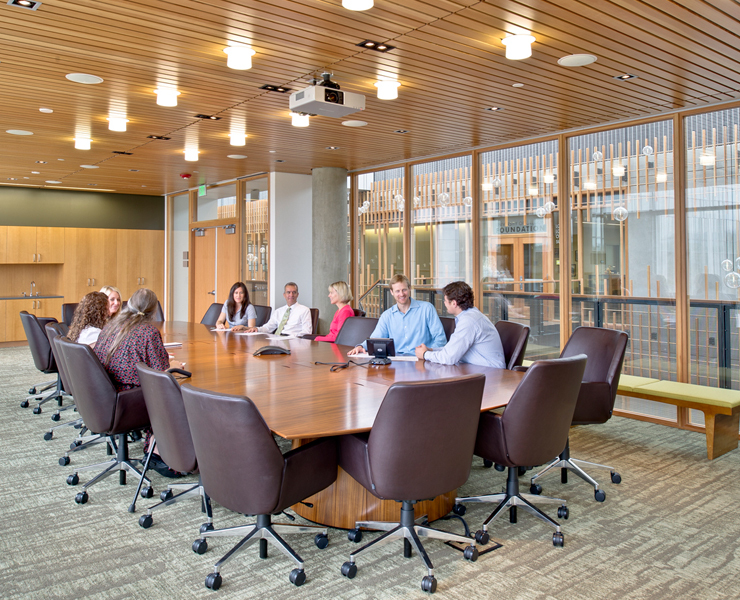 All department conference rooms, lounges and meeting spaces are grouped together along the outer wall, allowing latitudes in use throughout the day and evening. 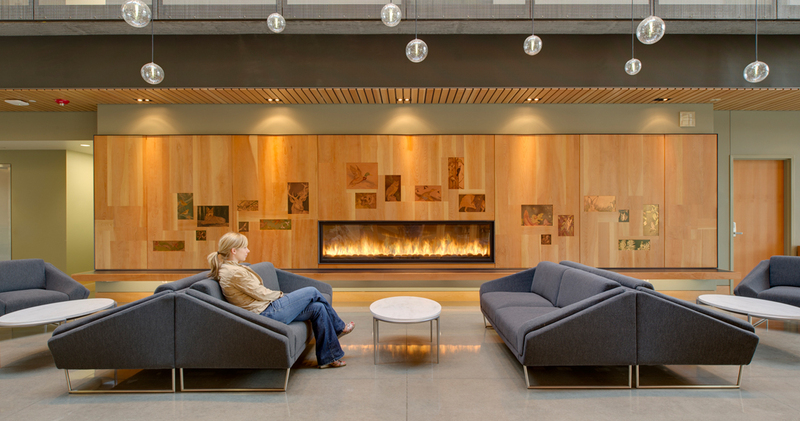 Intimate lounges bookend each floor providing places for casual, impromptu meetings. 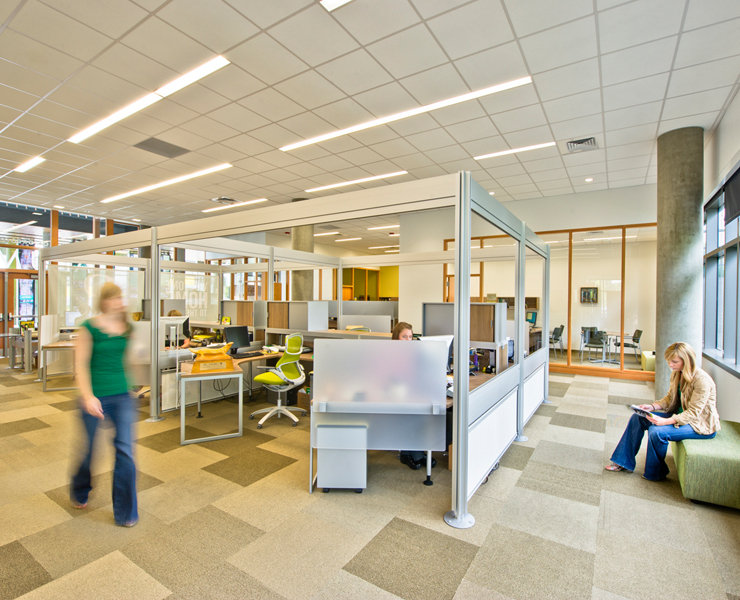 The design is one of the most innovative office workspaces for higher education, with a raised floor system, movable walls and office furnishings. 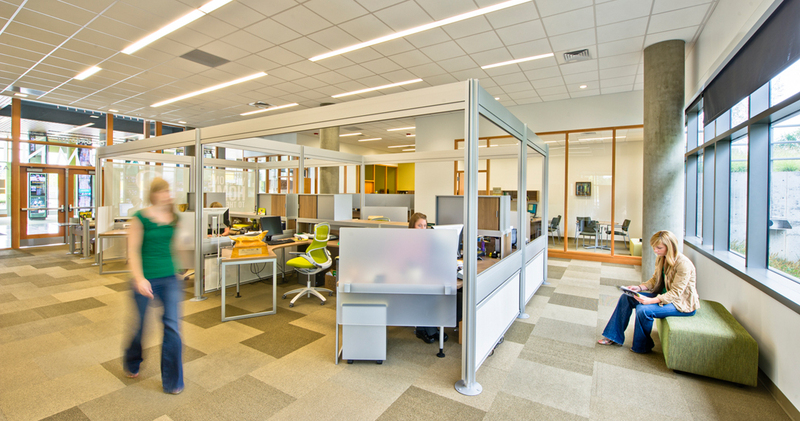 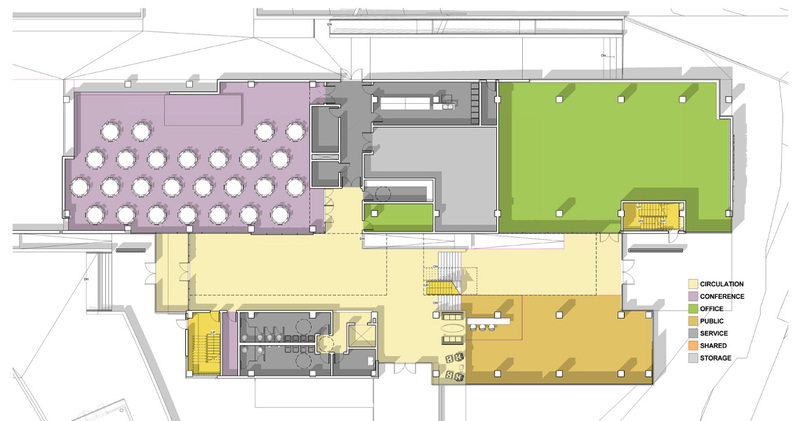 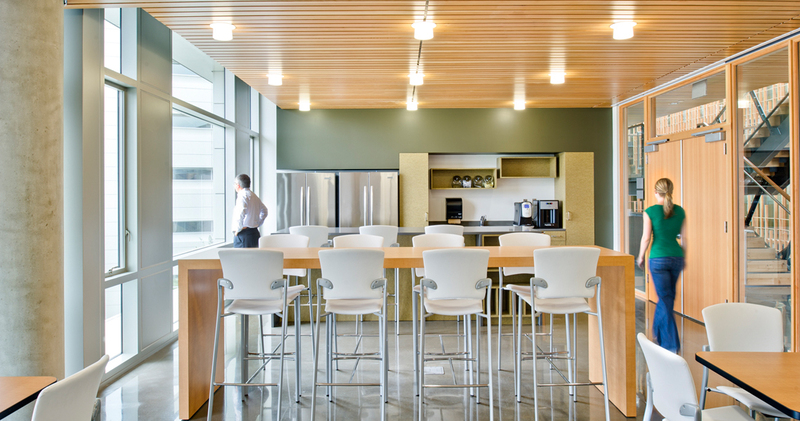 The open plan design is so adaptable that it accommodated several program organization changes during construction and will continue to transform over time in response to changing needs. 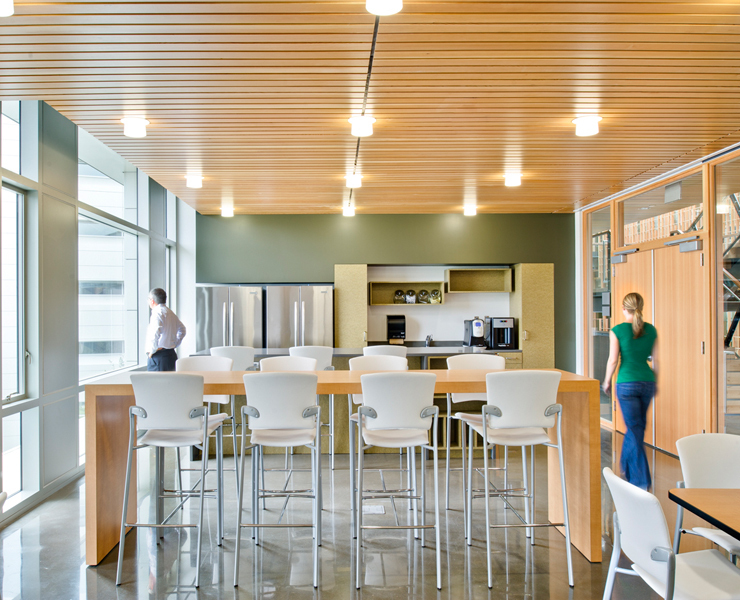 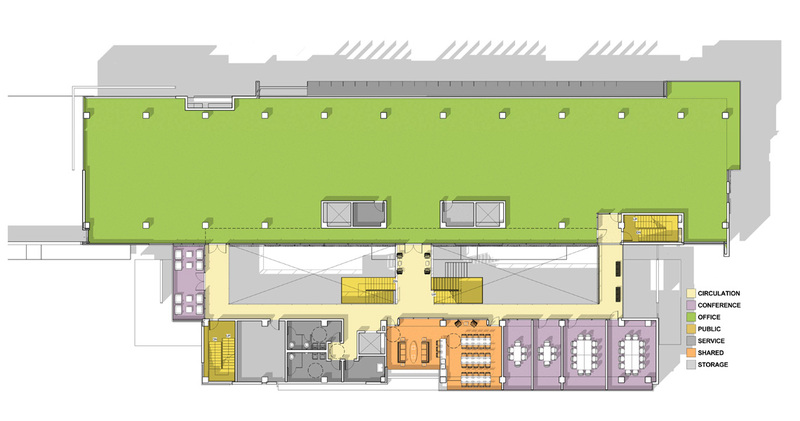 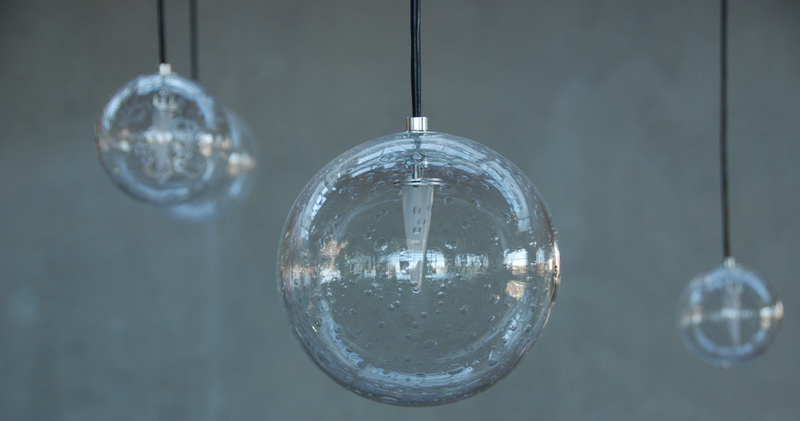 The linear floor plate and atrium bring natural light and views to each work space. 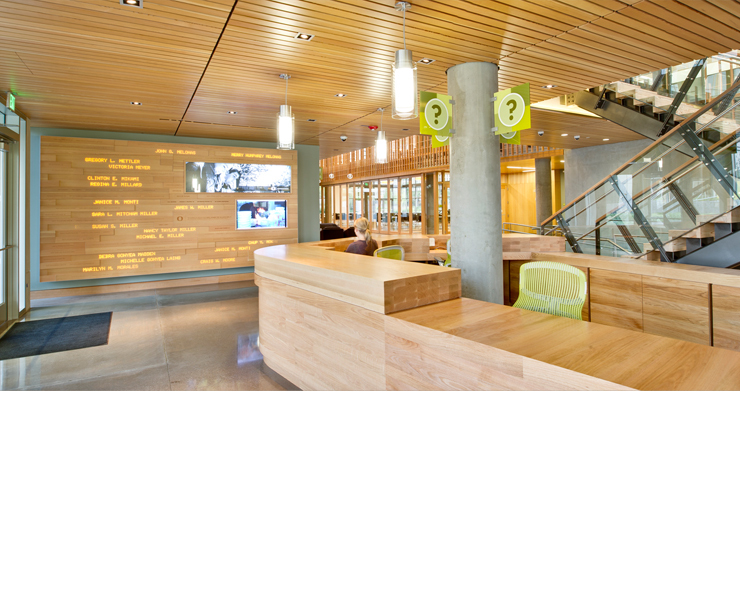 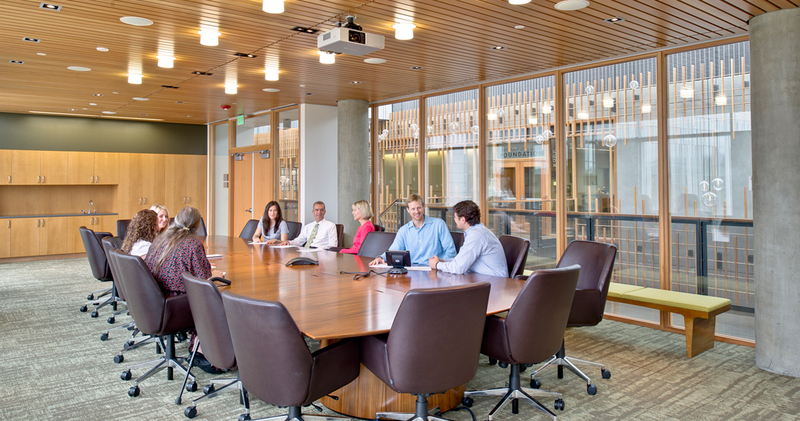 An Oregon fir wood screen provides visual privacy for office spaces and creates a warm interior. 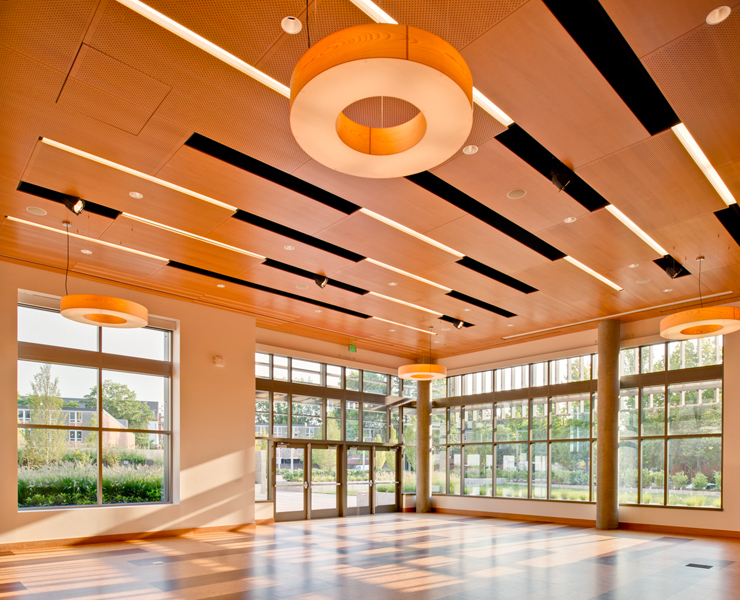 Original art is integrated into the design, including wood carvings by the renowned sculptor, Rick Bartow, and a 9′ x 18′ oil canvas by celebrated artist, Lucinda Parker.